Golu devta or golu baba, incarnation of lord Shiva is strongly worshipped in this entire district by locals. Ghorakhal Golu Devta is also called the god of justice. 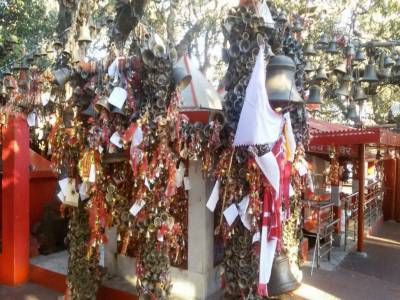 The temple is beautifully situated on the top of ghorakhal hill overlooking the bhimtal lake. 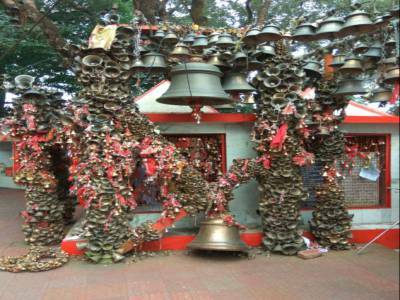 The Ghorakhal Golu Devta Temple had idols of many other gods goddesses and is decorated with thousands of bells. Ghorakhal Golu Devta Temple is one of a kind temple, in that place the devotees come with prayers, not only with devotion, but with a physical piece of paper. These are left in the Golu Devta temple. Visitors can see the plain papers, to legal bond papers, beautiful colourful sheets, to even some job application forms hang here. 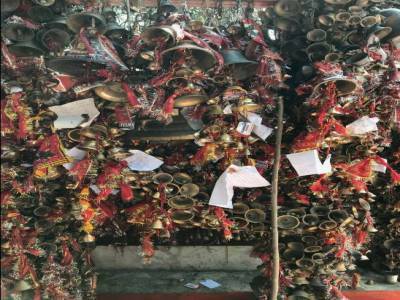 Once the prayers are answered the devotee comes back and puts up a brass bell. Looks like size of the bell is proportional to the prayer answered since you’d see bells of all sizes hanging here, thousands or lakhs in number. 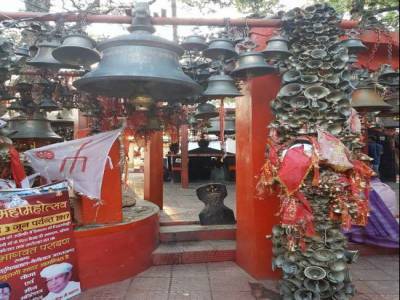 Golu devta temple is just about 4-5 kms far from Bhowali market and The temple is not too high anyone can walk easily. 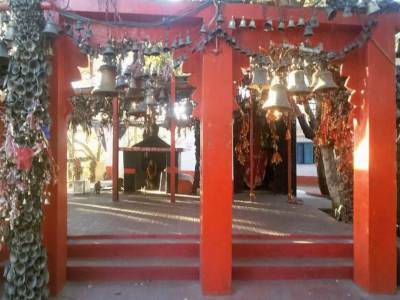 Get quick answers from travelers who visit to Ghorakhal Golu Devta Temple.